Cactus & eVIPs platforms from symplr are the most robust and comprehensive provider data management software solution in healthcare. 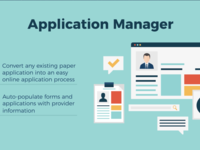 Our fully scalable platform automates your processes for provider credentialing, privileging, enrollment, OPPE/FPPE, custom reporting, contract & network management, and peer review. Highly scalable cloud-based access with secure data integrations provides a single source of truth for enterprise-wide integration, reporting, and accuracy. I think the customer support operates at a high level. Software ease of use could be more friendly. Pros: I like the overall visual layout. I like being able to populate and move from name to name in the left hand, blue sidebar. At this time I am having some issues and customer support is not able to resolve it. Pros: The software has a lot to offer in terms of maintenance however, it's difficult to look at pros right now considering my comments below. There are some good tracking options and I do like that we can call for support although lately the support has fallen short. Cons: Overall, the software is good, but there are numerous glitches such as making an entry in the cred verification screen can affect other screens and roll back dates which wipes out the new entry. I am not able to send an email through cactus which I was able to do previously and support has not been able to fix this after hours on the phone with them. Lastly, we should be able to go from one screen and function to another without having to close out each time. For example, if I a running some documents from cactus and I need to check an address of a provider, I cannot just minimize that and look, I have to close out the documents. This is time consuming and frustrating. Overall too many glitches and this makes one not trust the software - the support team needs to be better! A few are knowledgeable but lately the ones I've dealt with don't know how to address and fix it. Too much wasted time on the phone and I was told they would get back with me with a resolution and no one ever called me back---very disappointing and poor customer service. Used Cactus for last 15+ years and love it and all it does but the customer support is bad. Pros: The ability to write and customize reports and queries to what we need. We are soon to move to App Central and are looking forward to that functionality. The different modules that are offered are great. Cons: Really I cannot say anything bad about the software. User friendly. The only con I have is not related to the software - it is technical support. In the past I could never say about word a tech support, they were awesome. Now tech support if very bad. Normally the phone does not get answered, you have to leave a voice mail that some times is returned and some times not. Then there are some tech support people that cannot help you. In the past you would call, your call would be quickly answered and your problem was quickly fixed allowing you to move on with your work. Definitely not the case any more. This has been going on for months and months with no improvement noted. Overall: All information is in one place, easily accessible. Expirable reports are easy to run and it is easy to keep things up to date. Queries and reports can be easily customized to what you need. Pros: Visual Cactus was great. Cactus was able to customize the product to suit our needs. Customer support WAS great too. Cons: Web Cactus has fallen short of the mark for us. Important customizations that we had in visual were not included in Web. It took over six months to get one customization in Web. We could not function in Web until the customization was complete. We have had issue after issue. Reports will all of a sudden start pulling in bogus information, the new version of iResponse has been a nightmare and we have had plenty of problems with iPrivileges too. The support has gone down hill. You may hear back from them the following week. And they have a lot of new people who dont know the system, so it takes months to get an issue resolved. I do not feel that we are valued as a customer. Overall: Our experience with Visual Cactus was great but a lot changed with Web Cactus. It has not been a good experience for us. They no longer have the customer support or the depth of knowledge to handle issues. I use Cactus credentialing software, not all the features of Symplr. I'm very happy with it! Pros: The web-based version gave lots of improvements. I love the customer service! They are very responsive to their customers' needs. I love many things - easy queries, user-defined fields, NPDB access, scanning and screen shots directly into the software, dashboard! Cons: They changed to a proprietary word processor instead of Word. There are things I can't do, and when I went to alter a Word document that I had created in Visual Cactus, it completely messed it up and made it unusable. I also find flat files more confusing than in Visual Cactus. Overall: There are tons of little time savers that add up to a lot of efficiency. 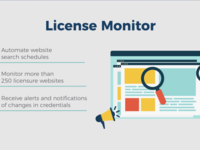 OIG sweeps, dashboards, links to NPPES and state licensing boards, ability to scan and screenshot documents straight into Cactus, NPDB queries, robust query tools, groups, workbooks, user-defined fields, databases of institutions, mail merge documents, contact log - it's all great! Visual Cactus works well for maintaining our credentialing information. Pros: The Documents are fairly easy to work with/author/edit. Multiple users can access the same record simultaneously with no problems. Assigning screen- and field-level security is simple to understand. Cons: There has been a decline in Customer Support responsiveness over the past few years. We used to be able to get connected with someone who knew the software very well, and if they didn't have the answer, would consult with someone and get back to us. Many of my Customer Support calls have gone to someone who doesn't seem sure of what the system can do or how it should be working. There also seems to be some confusion ever since symplr acquired Cactus--there is a definite division between symplr and Cactus but sometimes following a link, etc. will get me to the wrong place and it's like I've reached an entirely different company. I've been in Medical Staff Affairs for 23 years. Pros: LEMM is a real time saver. The tracking and reporting capabilities. A new employee that used CACTUS at her prior employment, stated that they never utilized CACTUS like we do. I feel like we are using it to its maximum ability. Cons: Since CACTUS merged with symplr, Customer Service has declined. Customer Service isn't as knowledgeable; therefore, it takes longer to obtain resolution. Would like updates to AppCentral that were planned a couple of years ago. Better tracking area in CACTUS for OPPE/FPPE. Currently, we are using the Peer Review form. The number of times staff keep telling us we should move to the web version. We have no plans to change. The length of time it takes the NPDB result to attach the image on the Credentialing/Verification form. Overall: Moved from a consultant developed Access database. Declining service in the recent past and recent increases in cost will make us do a good ROI. Pros: The functionality of the database and ease of use in finding things on the screens. The ease of creating easy queries is great. Cons: Letter revisions, customer support is declined. The company has grown too large, taken on too much and forgotten about the client/end user. Fragmented sections of the company that make you call the other section - Symplr needed stuff for peer review and I had to call Cactus to get them. This is not good customer support. Requests to the help desk aren't handled timely. Long time account managers are changed for no apparent reason. All in all, I have gone from a very happy customer to being on the fence about the new organization. The initiation and install went well, but response to requests after go live have been negligent. Pros: That it can handle a myriad of complexities for provider, group, entity, and facility relationships. Cons: The reporting capabilities are not intuitive at all. It takes an advanced degree in Crystal to write reports. The import utility is also extremely cumbersome. Mass updating of products and Plans does not allow you to only update certain address types. There are also no workflows or checklists that would track a process for contracting or credentialing. Security roles also don't allow enough control of field level restrictions. It's also very difficult to figure out what field applies to certain screens to limit roles. I went over the nature of our work with the salesman and he promised me that Vistar could handle it all and I don't feel like we got what we were sold. Overall: We have more flexibility in changing and reporting Provider Data. Pros: Provides a "one-stop-shop" for many needs and minimizes monotonous data entry through auto-population. Allows for simplified processes for credentialing and onboarding/physician relations. Cons: I think my con would be not having adequate training on how to use all of the features. However, I do not think this is a software issues, just an issue with how the system was set up, implemented, and educationally developed. If I knew about the features that we had original capability, it would have been better utilized over the past two years. Overall: System integration, better departmental communication, excellent informational tracking and accountability of task completion. Overall Cactus I am pleased with the CACTUS software program and it's functionality. Pros: Ability to track in Credentialing instances what verifications have been sent out and received. Ability to create widgets on the dashboard and track upcoming expirables is a great feature. Cons: For a short period of time at a previous job, I used another credentialing software. The one thing I liked about that software was the auto verification and summary of those auto verifications at a glance to know OIG, SAM, Licenses, DEAs, ABMS were all automatically verified or all able to be ordered in a batch at any time. Cactus does have that functionality to some extent, but I think there is room for improvement. Recent difficulties with getting information - they are having growing pains. Pros: Once you understand the make up of it and what it can do, it is great to make the work flow move. Automation of tasks and processes is nice - if you are aware of them and/or are willing to pay for every add on. Cons: It can be cumbersome - especially if you don't know what it can do. Education on new implementations and features have been little to none lately. Any time there is an enhancement, understanding exactly how to implement it into current work flows is clumsy - sometimes requiring revamp of a lot of things. More clicks per task means more things that can be missed. I have been a Cactus User for many years. Pros: My familiarity with the software. We were not able to expand on the use and move to a fully electronic office due to constraints of the software we utilize. Cons: Many folks find it complicated and hard to navigate (not intuitive). I find some of the data fields we enter cannot be generated in reports. The software seems to be more geared to managed care organizations than hospitals. Overall: It was the first credentialing software used at our facility. It helped to facilitate efficiency in the credentialing process, but did not get us to a fully electronic process. Competent customer service representative assisted with query. Pros: I have used the product since the days of DOS and I am used to it. I do like customer service and their willingness to assist when I run into any issue. Cons: Too many modules, should be "all encompassing", e.g. LEMM, iResponse, etc. Also, when the "next generation" of Cactus was upgraded from Cactus Vintage, for existing customers, should have been an automatic upgrade for those with technical specifics, not fee-based. Always been positive. The cactus product works for us. Pros: Cactus is always been reliable, Cactus/Symplr keeps abreast of regulatory changes, version upgrades are generally painless, the helpdesk support line is the best. Cons: I'd really have to think hard about that because its so seldom I hear of any complaints. I checked with other users in our Medical Staff Administration department and no one could think of a single complaint. Overall: It helps get the big job of managing all our medical staff information organized and accurate, and it does so in a cost effective way. Pros: The ability to generate all the necessary letters and web crawler information from the verification log for appointments/re-appointments. Cons: Nothing really comes to mind other than sometimes it seems to be slow. This could be from my system at this end. Overall: Faster turn around time for processing applications and reappointments. Ease of sending multiple letters. Useful reports and sign-in sheets for meetings. Have also utilized the program for tracking clearances on the providers, medical staff dues and application fees. Cactus is the credentialing software my organization purchased. Pros: I prefer the ease and esthetics of Visual Cactus over the more challenging and unappealing web-based Cactus. Cons: The web-based Cactus is not as user-friendly as Visual Cactus. Also, it does not interface with my organization's other programs. **This review is based on my time at the Corporate level. I have recently started with the managed care business unit, therefore my Cactus experience here is limited. Overall: It keeps all of our provider information in one database for ease of access. Very responsive. customer friendly. Try to get what we need built into the system. Pros: Ease of use, easy to teach new users. It's evolving and getting better all the time. I use the Event Reporting system constantly. Cons: We are not notified when there are changes made. I just found today several new Event types in the Event Reporting system. There are too many variations of the Credentialing program. Need to align everyone onto same platform. Seems to be taking way too long to get us up and running. Overall: Transparency and full disclosure to needed reviewers. Pros: Dashboard, creating queries is easier (except one issue - note in Cons), it looks pretty. The pros do not outweigh the cons - a lot of functionality and speed was lost with Web Cactus. We have 18 entities, most of whom refuse to use web Cactus. We have put in requests with issues and even a few enhancement requests, which I've listed in the Cons below. Cons: Cannot view multiple forms at the same time, VERY slow due to web-based, Reports keep breaking, queries come out funky sometimes - extra almost-blank lines (does not happen in Visual Cactus), sections that collapse can be "dangerous" - accidentally collapse something and a whole section is forgotten, excessive mouse usage - VC allowed us to tab and use arrow buttons to move around and use space bar to toggle checkboxes on and off, Running reports and documents is excruciatingly slow, editing Word documents is buggy, adjusting the light/dark contrast must be reconfigured every day, attaching documents to specialties is too complex, Updated crystal reports in Web Cactus does not carry over to VC and vice-versa, Fields in Web Cactus were moved around and even renamed which makes the transition from Visual to Web very painful, Verification Date and Verified By disappear when the Verified checkbox is unchecked, we are not able to delete NPDBs from Web Cactus which come back as an error - It works fine in VC. Cons: Desktop version=report building. Support is lacking on Foxpro. Priv+ has made tracking & reporting very easy, now that I've had more training on how to use it. Pros: I like the tracking features that it offers and the ability to create data reports specific to what I'm looking for. Cons: I haven't learned how to used the system enough to have any Cons to anything yet, so I really do not have a valid comment for this section. 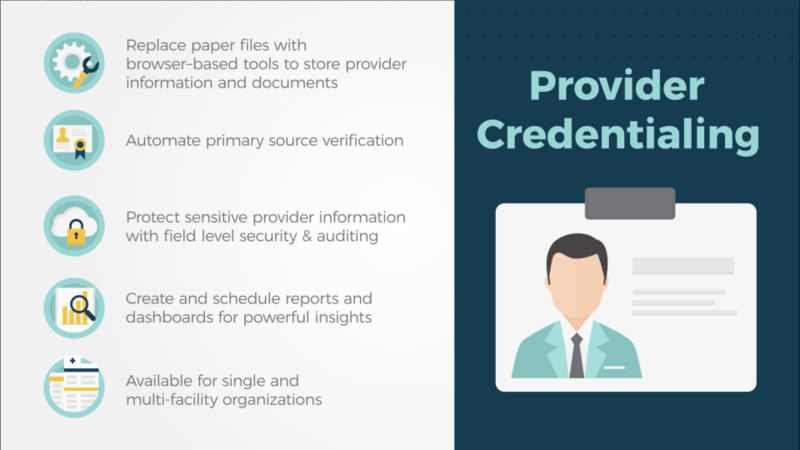 Overall: We have a back up tracking system to our credentialing department that allows us to track multiple areas of a providers appointments, privileging, on staff dates, and focused & ongoing professional practice evaluations all within one system. Pros: User the Visual Cactus version is very friendly, great customer support, tons of features and functionality. I believe the price is a value, as I have used it at three local companies, all of whom looked at over software. Cons: The web version is not as user friendly. It is very different than the Visual version and does not make as much "sense" when trying to figure out where to go in the system to find something or do something. Recently customer support has been hit-or-miss. Overall I'm happy with the product. Cons: inability to do more complex queries - i.e. because "work history" and "affiliations" are in the same table I can't filter on two types for the same field. Flat files are very cumbersome to create. Overall: Much more quickly access data / complete applications - keeping in mind that I build my own profiles and put my own packets together. It's unfortunate that there is not an easier way to create profiles without having to use Crystal reports to do so. Enhancements to the system are expensive. The new web based software is not easy on the eye. Pros: We have it already and it would be a big endeavor to change software. Staff is trained and it would be too expensive to change. Cons: Enhancements are too expensive. The recent OIG/SAM querying capability should not be an extra fee. This is should be a basic function. Company has lost "family feel" since it became Simplyr. Overall: Historically we have benefited, but I would shop around if starting from scratch. Cactus is the only credentialing software I am familiar with but it seems to meet all our needs. Pros: It organizes all the credentialing information we gather so it is easily found. The phone support it amazing. Cons: If we need to get something corrected or customized, it seems to take quite a while to get the final product. We entered the privilege lists manually and it doesn't like to organize it the way we want it within Cactus. It prints the reports ok though. I am a huge fan of Cactus Symplr. Our health system has had very positive results with the product. Pros: Cactus is constantly looking at improving their software and adding additional features to streamline the credentialing process. Cons: We are experiencing a great dissatisfaction with deploying a new module purchase. The skills of our contact have been less than expected, and the response to our concerns is gravely concerning. Our hope is that this isn't a new trend. Very user friendly and great support from Symplr Team! Pros: After using PrivPlus for so long, Symplr was so advanced and very user friendly. There are so many "Bells & Whistles" and the staff are so helpful when you call on them. Cons: Running reports can be time consuming and trying to get the information needed into one report, even with MyReports report writer. 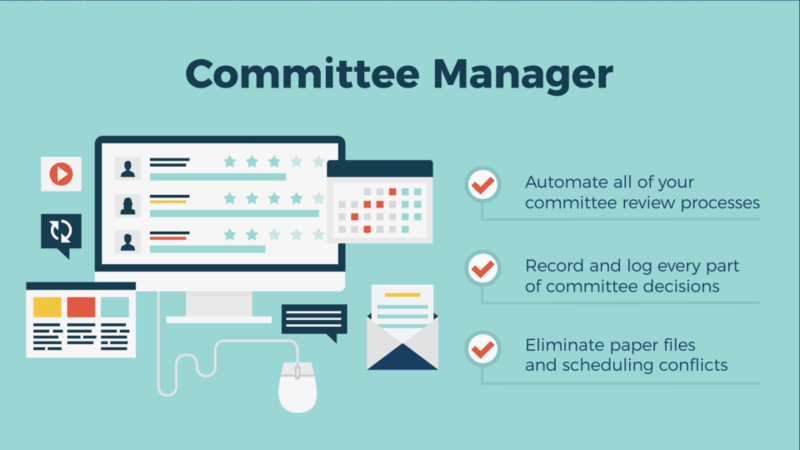 Overall: Streamline credentialing processes and working more efficiently. Cactus/Symplr is our first credentialing software product. It has saved us a great deal of time. Pros: Data fields are easy to complete. Will print the IL Credentialing form with most data input. The Customer Service is by far better than most. There are quite a few customizable fields where you can add data unique to your processes. Cons: A lot of features I wanted in credentialing software product are an extra cost with Cactus/Symplr. The reports are not easy to create and print. I always need customer support to create a report that I need. Pros: Easy to use, we still have Visual Cactus and it does everything that we need it to do. Database is easy to use to load my providers for sending payor updates to all our networks. Can pull a report quickly using queries. Cons: Trying to get a flat file loaded into CAQH is beyond me! Sometimes I wonder if the data is correct that is pulled from CAQH. Since the acquisition by Symplr, things have gone downhill. Pros: Easy of Use. Privilege forms for reference. The ability to attached verified items. Batch print of verification letters. Cons: Reports get changed and then no one knows how they originally existed and they are never the same. It seems I have to be "ugly" to get anything fixed. Turn around time for tickets seems very slow. Overall: Easy access to provider's information. Noticeable degradation in customer service over last year. Some modules need redesign. Pros: Flexibility with user-defined fields. Ability to view multiple tabs at one time (I understand this goes away with web)--please fix! Cons: Degradation in support over last year. Inability to include "or" clauses in query writer (I understand that is resolved with Web version). Disappointing responses to questions. 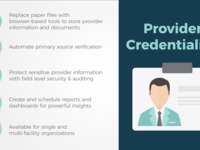 Overall: Tracking credentialing data. LEMM! Pros: New updates and enhancements - new online application process has been wonderfully easy to implement and use. New and existing providers love it! 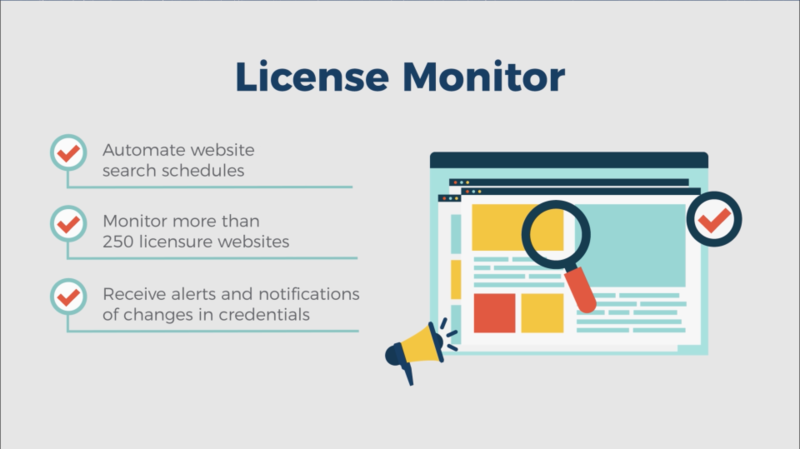 Cons: cost is a huge factor to adding new features, such as license and OIG monitoring. It's hard to cost justify these types of things when it costs so much to implement and then pay yearly to keep. Pros: Ease of use. The Staff is friendly. The use of Bomgar makes its easy to communicate. The Road Shows are phenomenal. Cons: Support calls are not answered all the time. 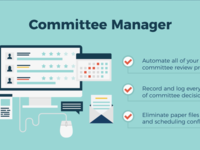 There is lack of training documentation on the website for App Central or for icommittee . Training Videos on this will be nice. Overall: Time Saving and also the ability to interface with other products. We have struggled with Cactus and the way it was hosted. Pros: Source of truth for us. It makes it easy for the credentialing team and enrollment team to collaborate. Cons: not intuitive. It is difficult to retrieve data specific to our needs at times. We, as of yet, still have not been able to make mail merge work. APp Central fax back process is awful. Overall: It has been a good start to taking our credentialing process paperless. I have over 20 years in the Medical Staff Credentialing field. Pros: I am happy that it is customer friendly! That makes for a lot of the sections to be more useful for many different uses. Overall: Good product that meets our needs for now. I am concerned about the web product and whether the bugs have been worked out of the new product. It is not what was fully shown to us during the selling presentation. Pros: That I can house all of my providers electronic files in one place and can link the contracted payors. Cons: A lot of the functions that we were sold on don't exist or don't work. I have sent requests advising that license PSV often don't work. Have ben told that it would be corrected but no follow up was provided. I was going outside of the system to do this prior to eVIPs and I am still doing that. Was told that I could program alerts to get an email reminder. It is a year later and I still don't have a clue how this function works. I am still using tools that I had in place prior to this costly purchase. Running reports can be very convoluted as well. it has been a good tool for us. I think it is pretty easy to learn. Pros: Because we are a large health system, Cactus allows us to capture just about anything we want in queries. It is user friendly. Cons: There are a few cumbersome steps and I do have a few enhancements I would love to share. A few places could use some updates but I'm hoping these will be fixed once we get on Web-based Cactus. I am an administrator of CACTUS and I like the application. Their is a lot to learn about CACTUS. Pros: Once you know how to use CACTUS, the application will reduce the amount of work, and increase productivity rate of employees. Cons: Would like for CACTUS to actually use SQL, and allow us to do our own drilldowns. I know that CACTUS has a query feature, however it is not SQL driven. I have enjoyed the "upgrade" to symplr from priv plus. It truly makes this job easier. Pros: I really like how everything seems to flow seamlessly within the system. There has be no down time with symplr. Cons: It would be nice if the email from the system was a bit more user friendly. If it would show that it came from my office instead of a different address that is not recognizable to my people. Pros: it's easy to use and it can do wonders if you use it to the max. and to its potential in addition to their products. Cons: when there is an error and they can't figure it out why or and upgrade and can't be upgrade. Or when you have codes that can't be overload. Overall: Make our credentialing work easier and more efficient. The system works great for us!!!! Pros: We really truly love everything about the product. 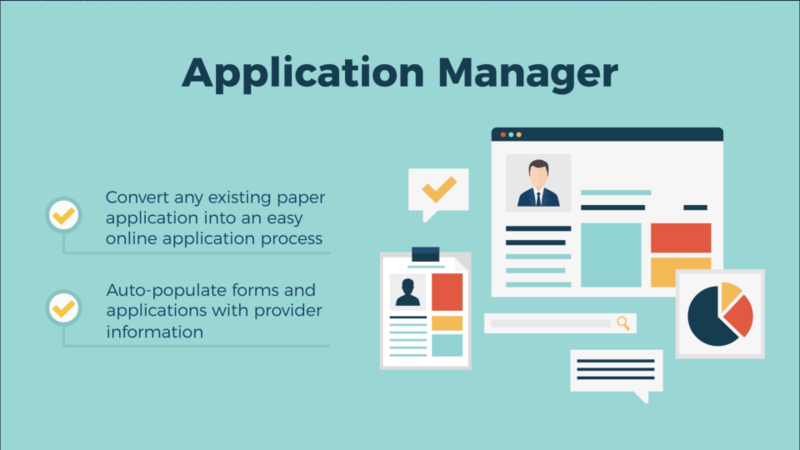 Some of the things that really standout are the standard reports, workflows, master tables and the ability to upload applications/documents. Cons: I think that license/DEA/Board Certification web crawls would be very beneficial for our organization. This was existing when I came into my position. I am self taught. Visual Cactus is excellent for credentialing. Pros: Data entry is user friendly. It is easy to set up basic queries. There is some customization allowable. LEMM is a life changer. Cons: There are some limitations. Cannot query off the audit log, i.e., changes made. It is very costly to have documents revised in AppCentral. Cons: There is really nothing that I don't like about the system. If there Is any complaint I do not receive notifications when someone in red status attempts to scan in. We have been very happy with our Cactus software. Pros: Cactus is very easy to use and has a lot of flexibility with the queries and reporting. Also, the customer support is excellent. Cons: Setting up security for users is almost impossible to get right, but fortunately their customer support is excellent and very patient. Cons: size of certain tables/fields can't be changed, can only see four lines of information on contracts/assignments, lots of time wasted on clicking around when trying to add a new provider who opts in to 30 different payers with 15 service addresses. web cactus has increased our labor costs. we have brought this to the cactus team's attention, but no fixes in sight. many queries give duplicate rows with certain results fields as blank, cactus staff said my queries are too complex since they use "too many tables". this is not true since I made a query with only 3 criteria and 5 results fields from only 3 different forms and it still didn't work right. the web based system is really slow too, switching between forms often takes several seconds. Professional and so easy to implement! Overall: Ease of staff members inputting safety reports. All main indicators are included and updated as needed. Reports are easy to use and share with Super Users. Pros: Easy to use, all in one program. Of all the programs I have used, it is the most straightforward and easy to use. Cons: Annual support cost is high, especially when you consider how often we use support. Support service has declined. Pros: It is easy to use and run reports. I do like the ability to have more than one window open at a time. Cons: That we are unable to use the "Maximize" function on all screens. Is there a round about way to maximize the screen to included the data?